The magnificent beast would have lived up until 36,000 years ago — much longer than was initially thought. Artist’s impression of Elasmotherium. Image credits: W. S. Van der Merwe/Natural History Museum. The Siberian unicorn belongs to a genus called Elasmotherium, which appeared around 2.6 million years ago. It was a herbivorous beast, related to today’s rhinoceros, but featured a huge horn on its head — much bigger than its living relatives. Weighing up to 3.5 tonnes, Elasmotherium sibiricum roamed the steppes of Russia, Kazakhstan, Mongolia, and Northern China, and would have been a magnificent sight to behold. Previous fossil analyses suggested that the creature went extinct long before modern humans evolved, but a new study led by London’s Natural History Museum says that they only went extinct some 36,000 years ago. The genetic analyses carried out suggest not only that Elasmotherium lived for much longer than was initially thought, but also that it was a member of a unique family of rhinos. Simply put, it means that it’s much more distantly related to modern rhinoceros than expected. 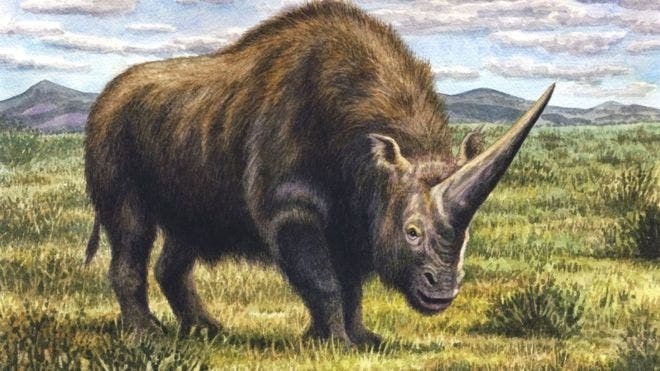 “The ancestors of the Siberian unicorn split from the ancestors of all living rhinos over 40 million years ago,” says co-author and ACAD researcher Dr. Kieren Mitchell, who analysed the DNA of the Siberian unicorn. It is the first time DNA has ever been recovered from E. sibiricum. For the study, 23 Siberian unicorn bone specimens were dated. There is some uncertainty in the dating process, so while the tests indicate that the Siberian unicorn lived at least until 39,000 years ago, the interval may be stretched to 35,000 years ago — which means that the species’ final times may have been spent alongside humans and Neanderthals. 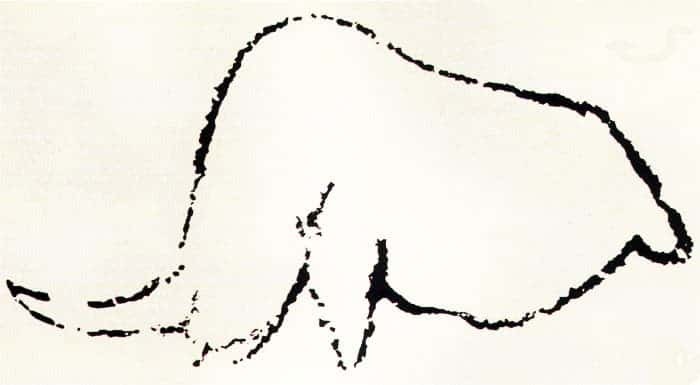 This also seems to support the theory that some cave drawings from the Rouffignac Cave, France, represent Elasmotherium. The writing, as they say, was on the wall. However, it’s unlikely that humans led to the demise of the species. Instead, the impending ice age was what brought it down. “It is unlikely that the presence of humans was the cause of extinction,” says co-author Professor Chris Turney, climate scientist at the University of New South Wales. Other species (like mammoths) would have been less reliant on vast swaths of grasslands and would have been able to better survive these changes. There are currently five living rhinoceros species — all of which are critically endangered.